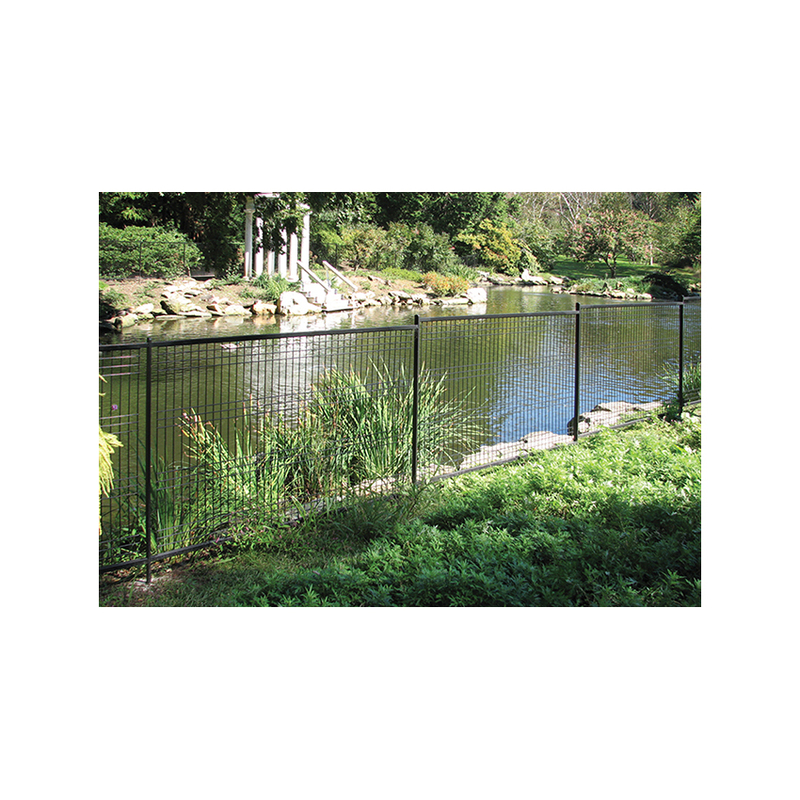 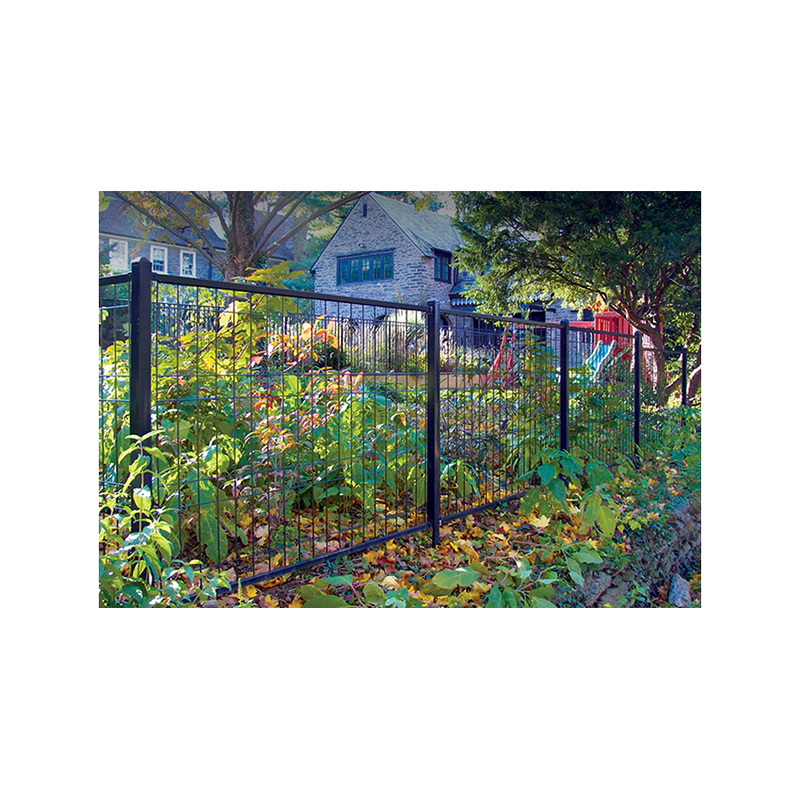 Jerith Patriot Steel Fence Section - 6ga Vertical | Hoover Fence Co. 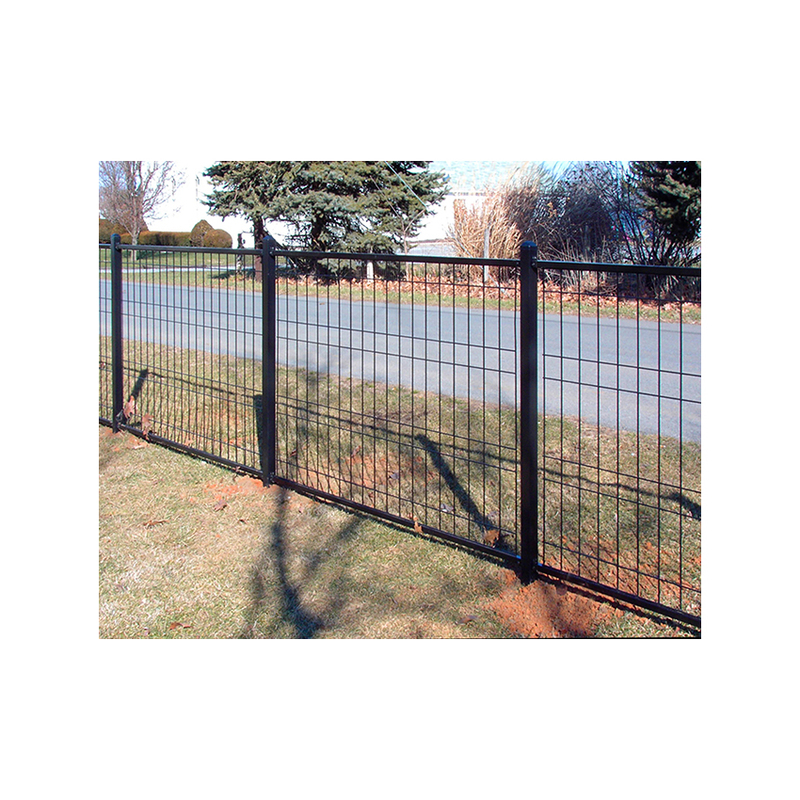 The Jerith Patriot™ Ornamental Wire Fence Panels are the main component of the Patriot™ Fencing System. 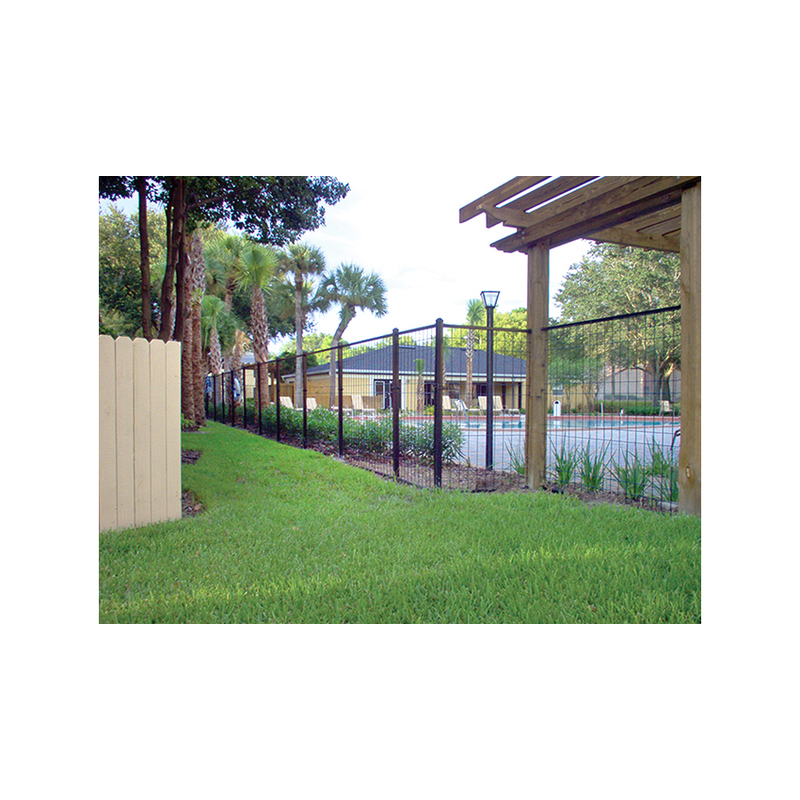 The Panels with 6 gauge vertical wires have 1-3/4" security spacing which is virtually unclimbable and pool save in all heights. 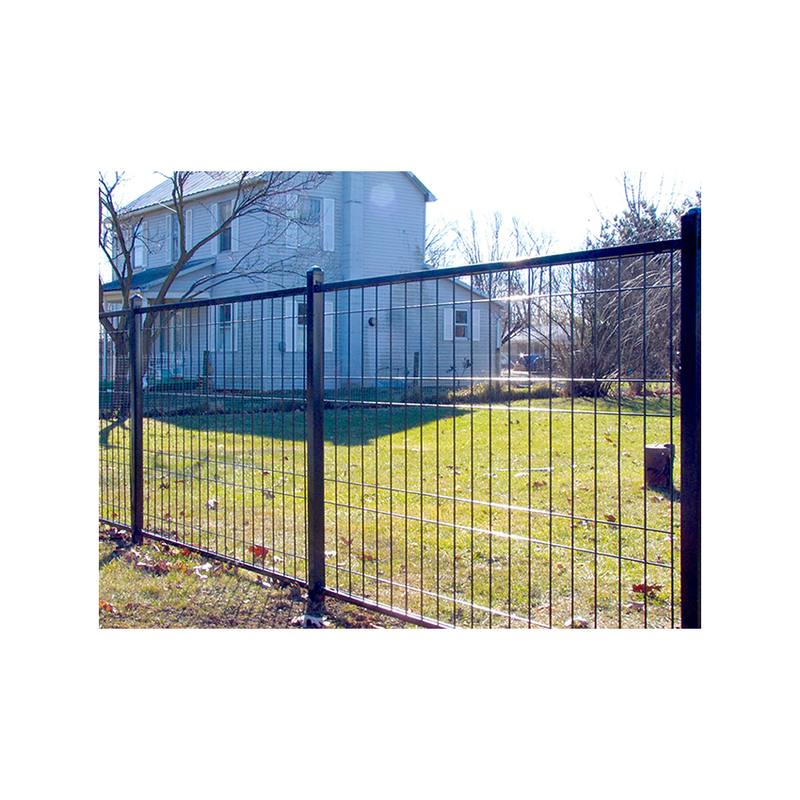 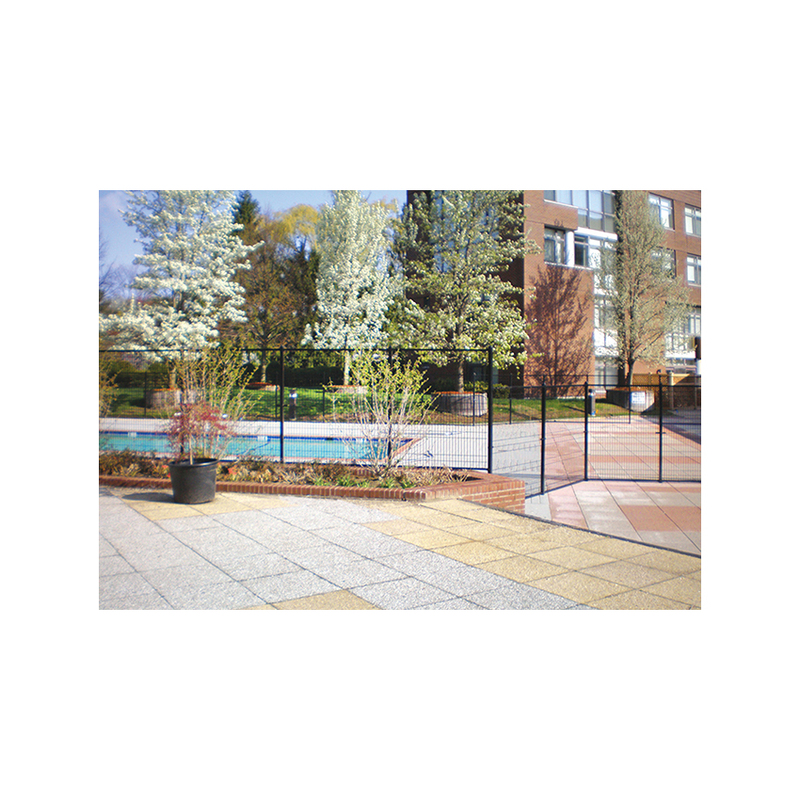 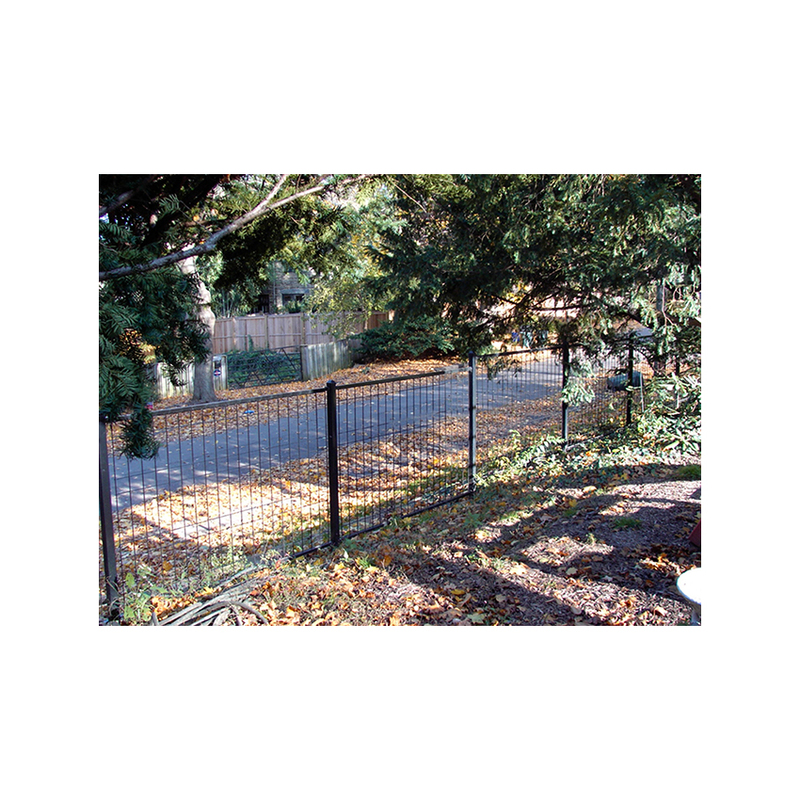 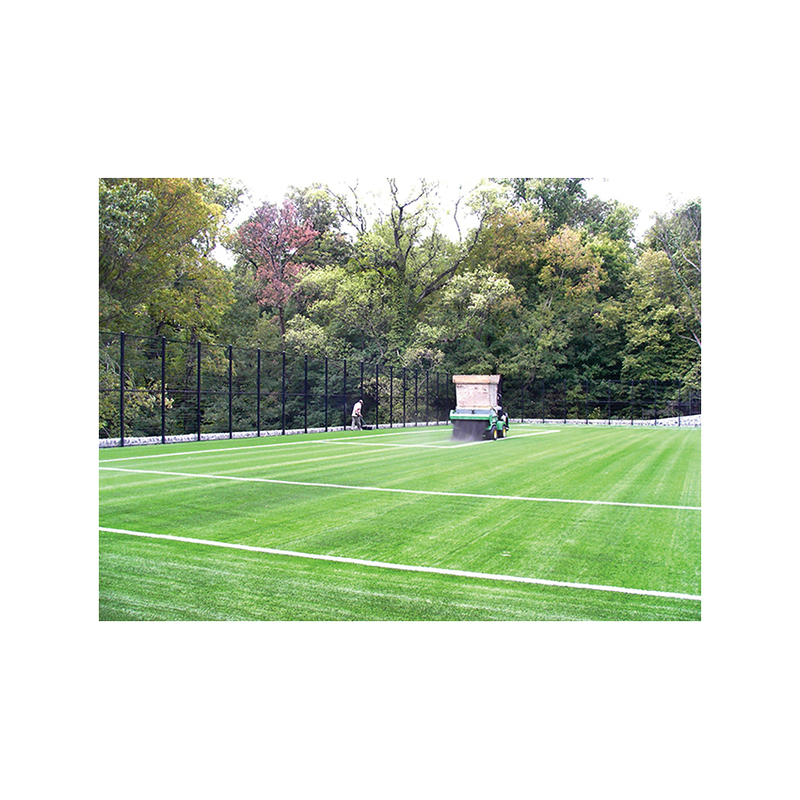 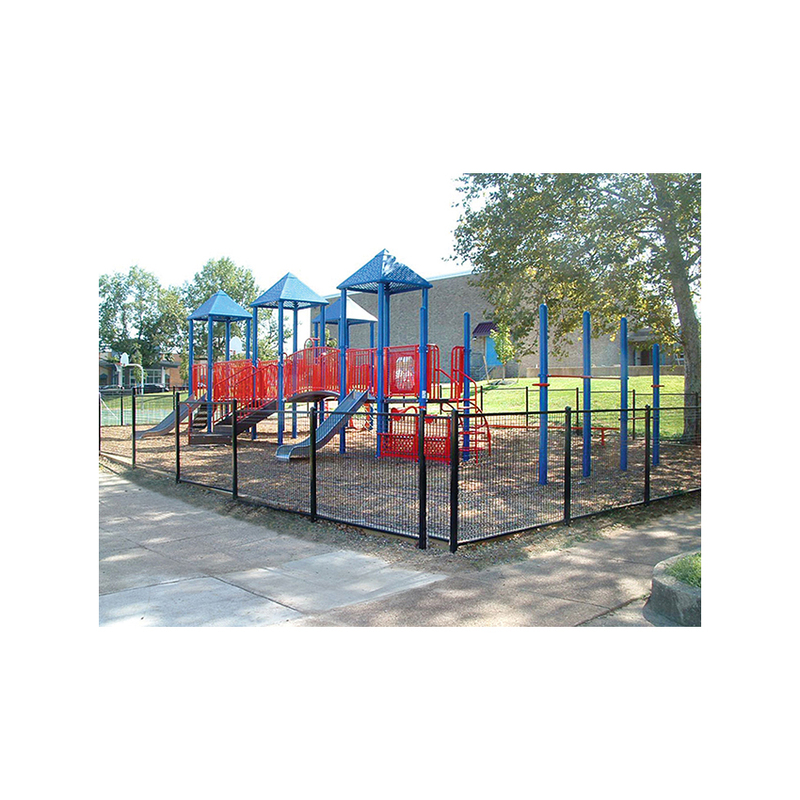 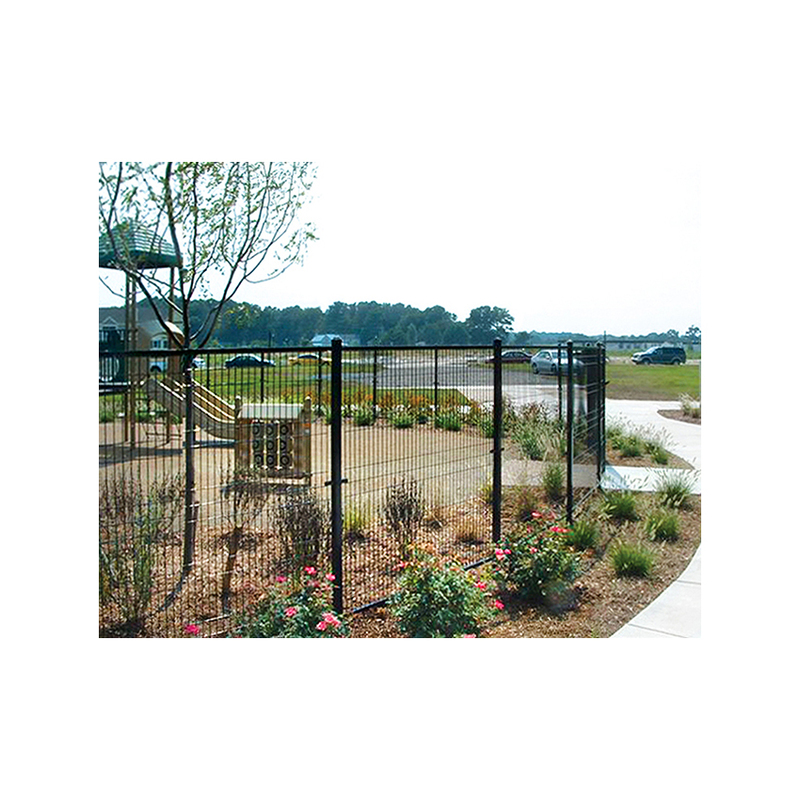 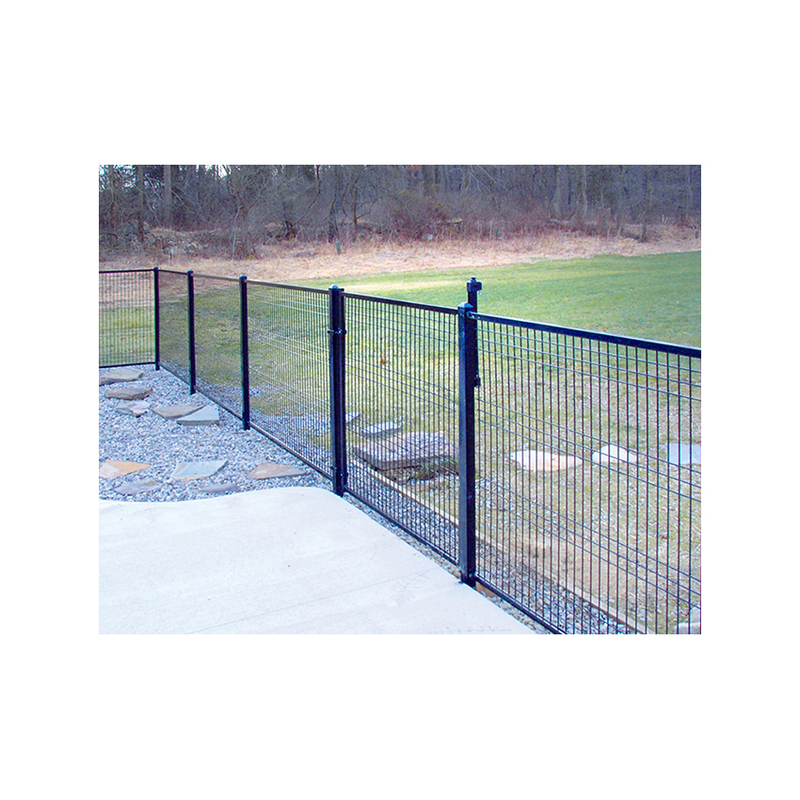 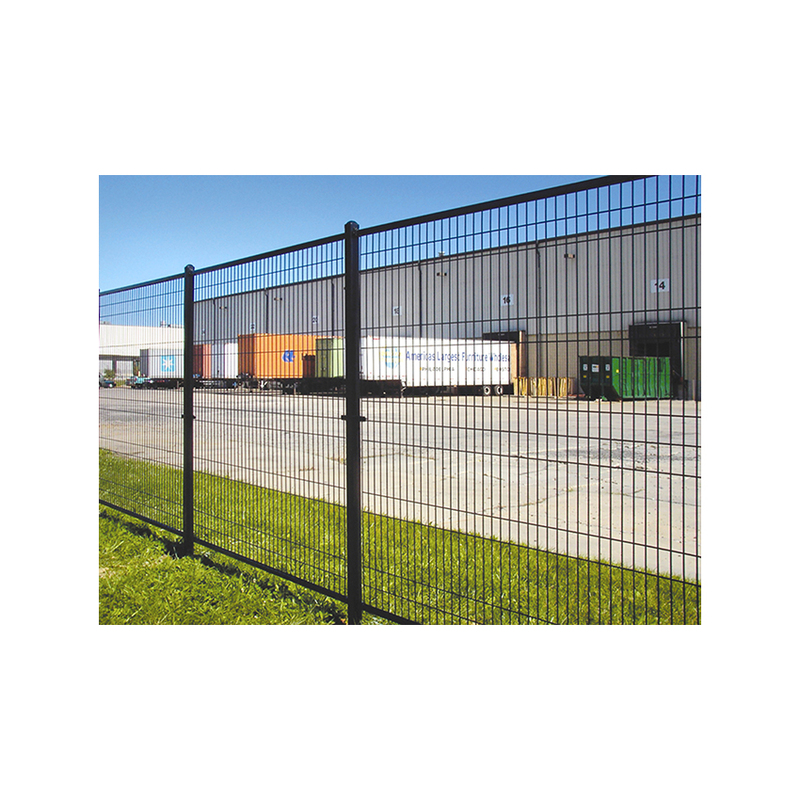 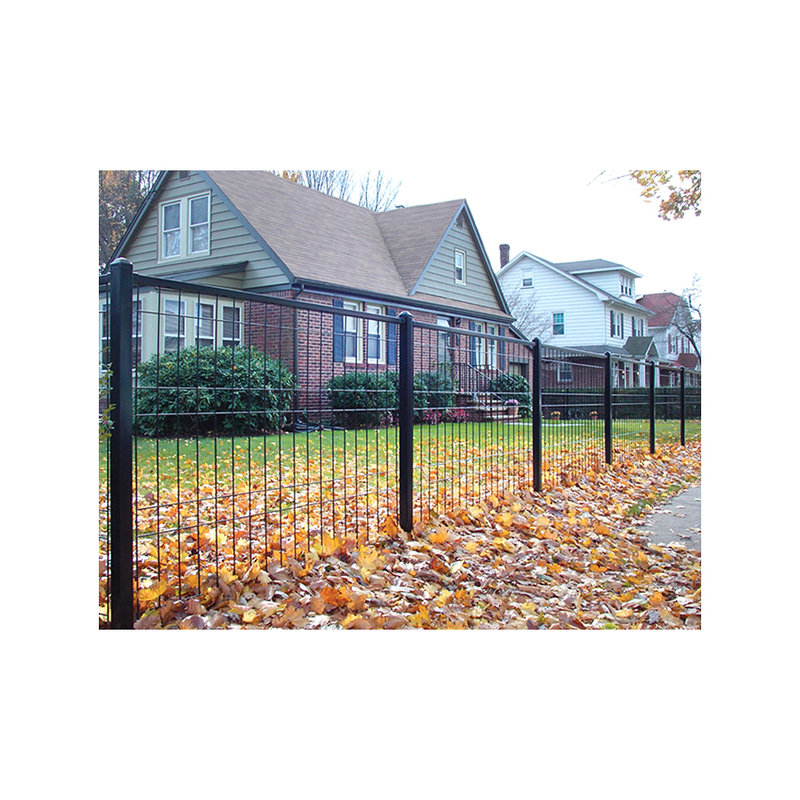 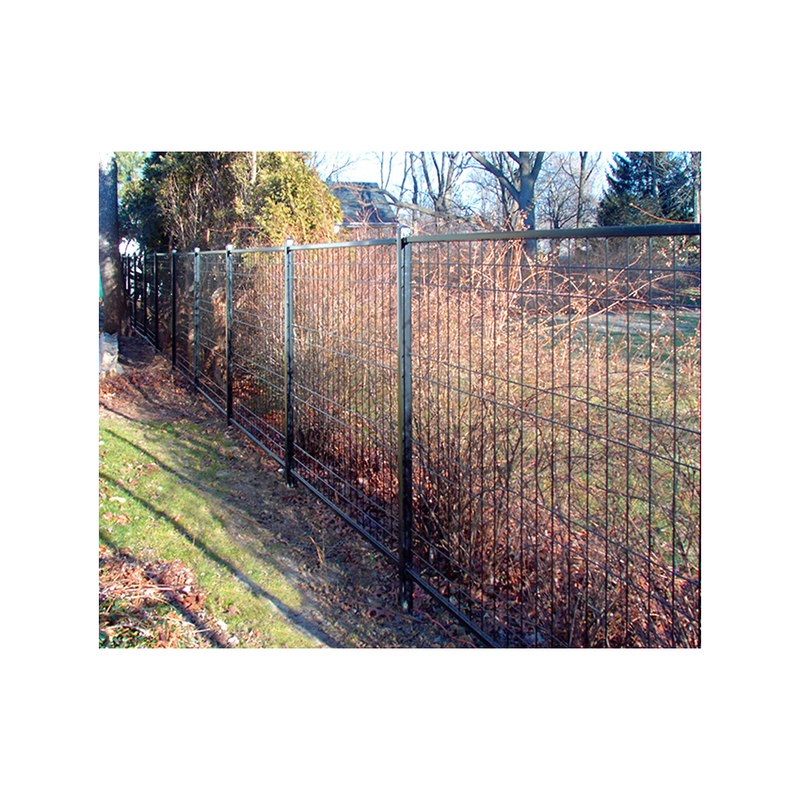 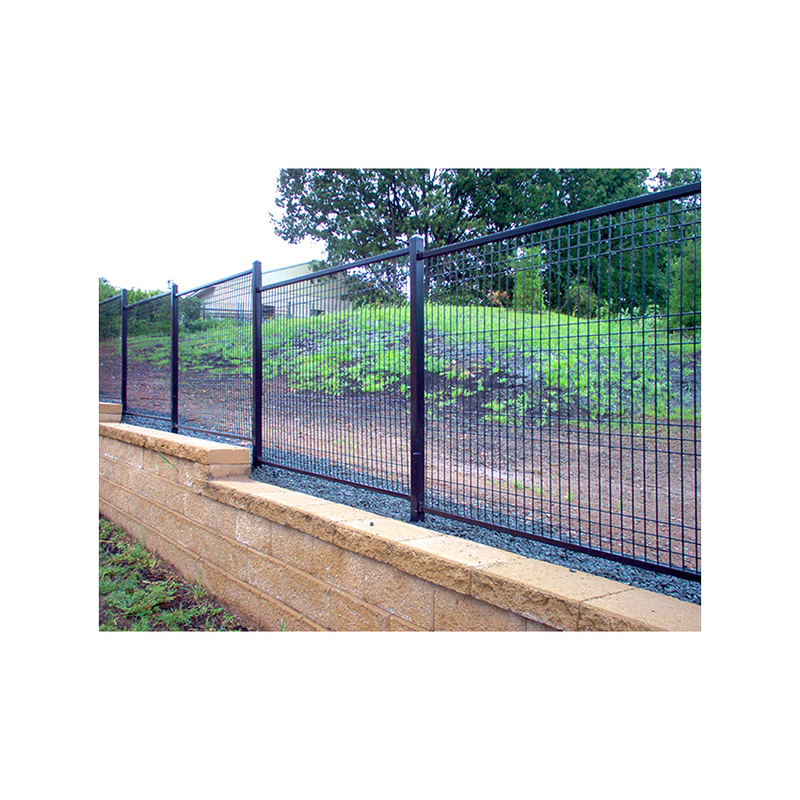 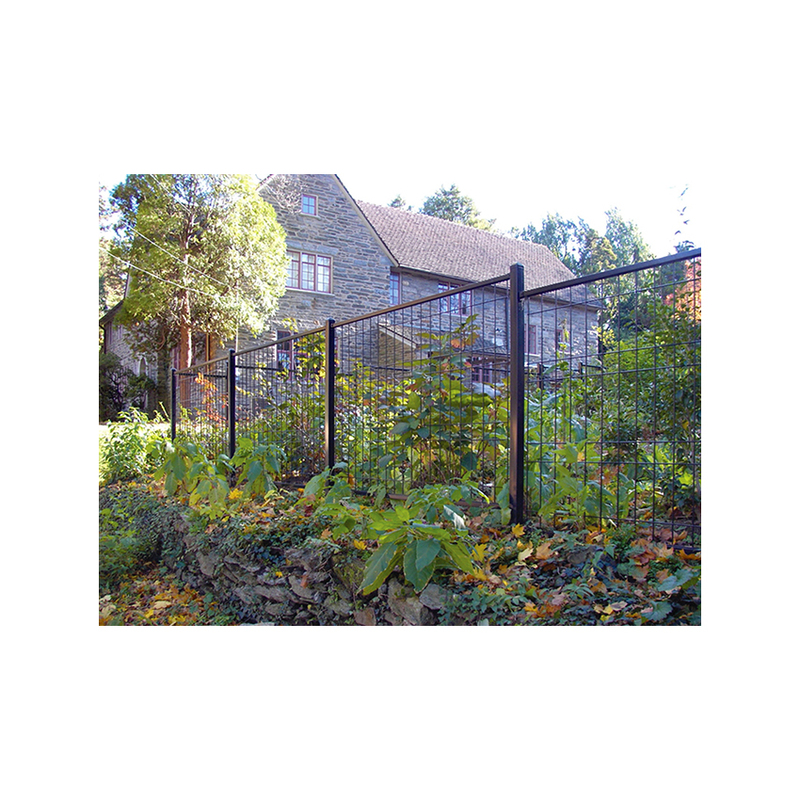 For less obstruction with larger mesh spacing, we also have the Patriot™ Fence Sections with a 4 gauge vertical wire. 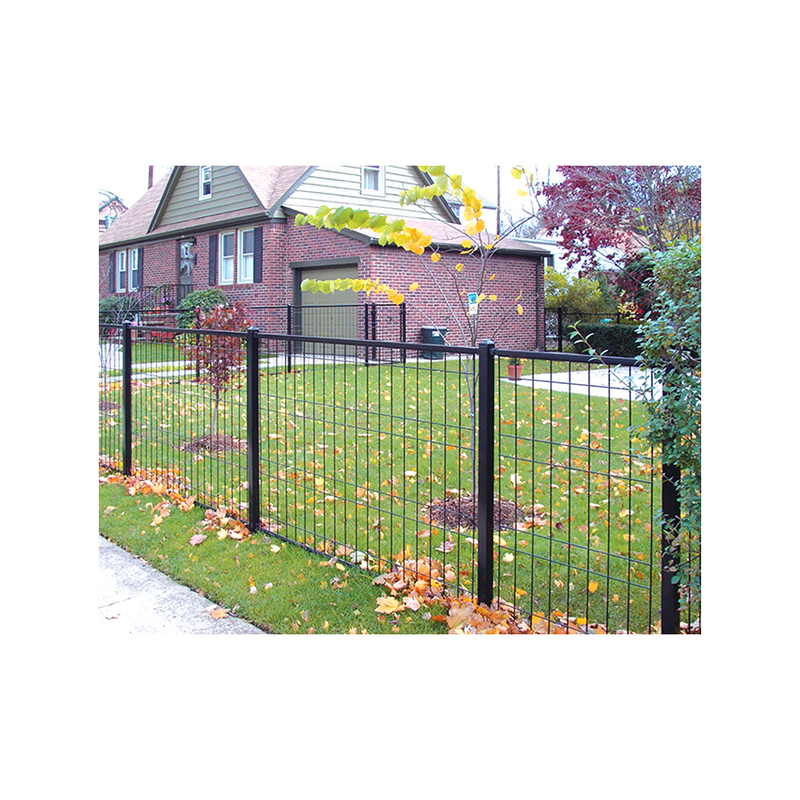 All fence sections utilize 6 gauge horizontal wires. 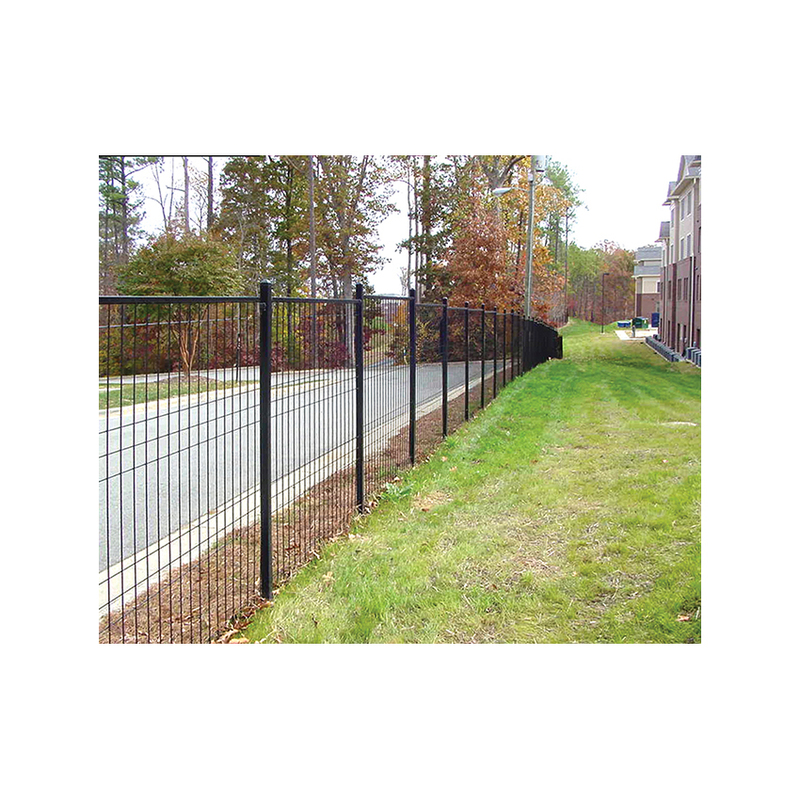 Patriot™ wire fence sections are available in 4', 5', and 6' heights. 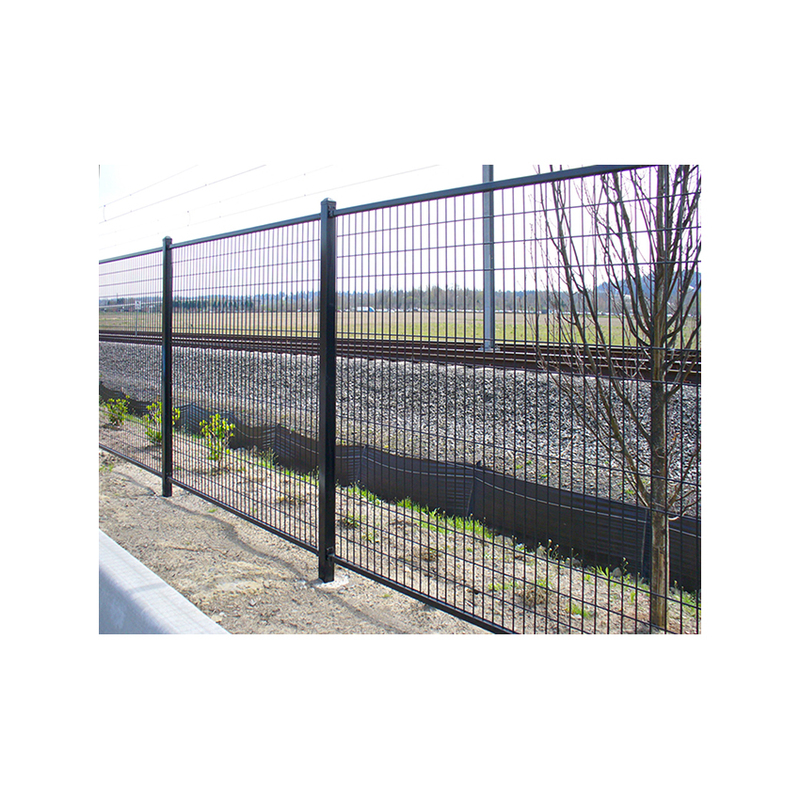 Horizontals wire spacing will vary with height, spaced to provide style differences but no farther apart than would allow for substantial rigidity of vertical wires. 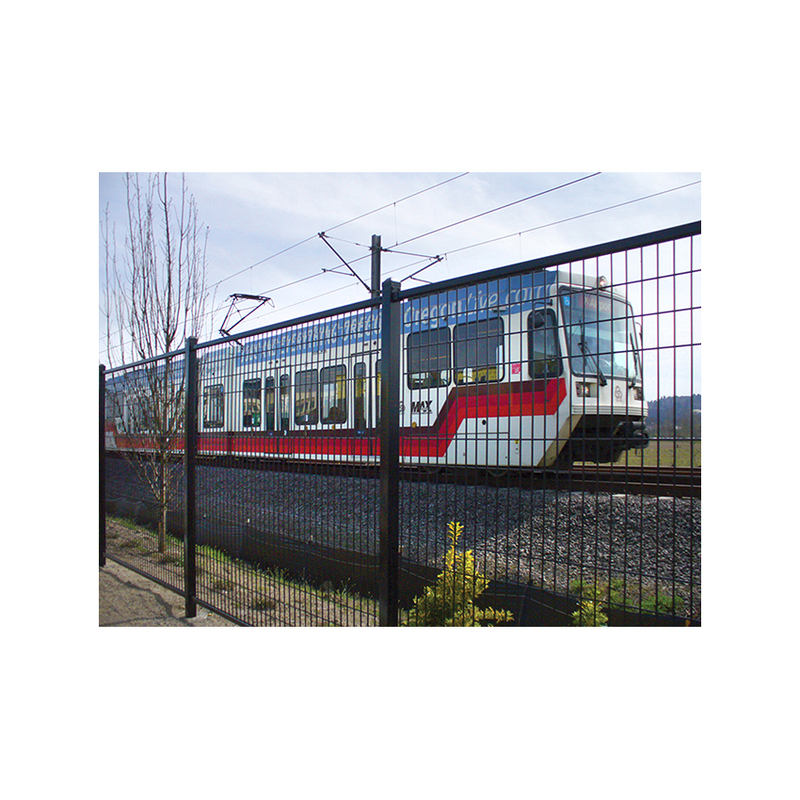 Pattern will be based on gauge of vertical wires. 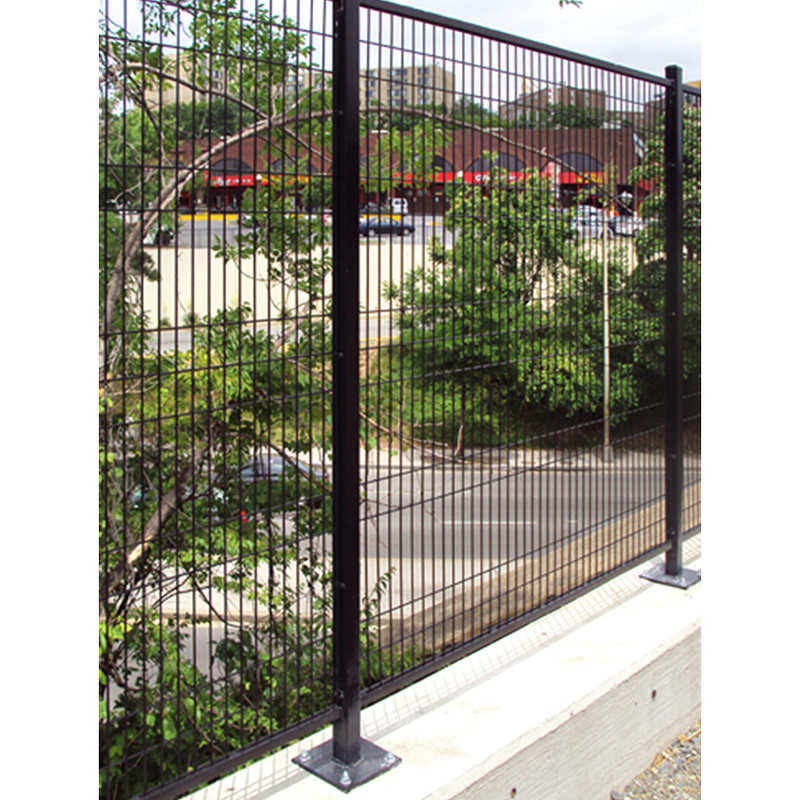 The 6 gauge fabric has 1-3/4" spacing on the vertical wires. 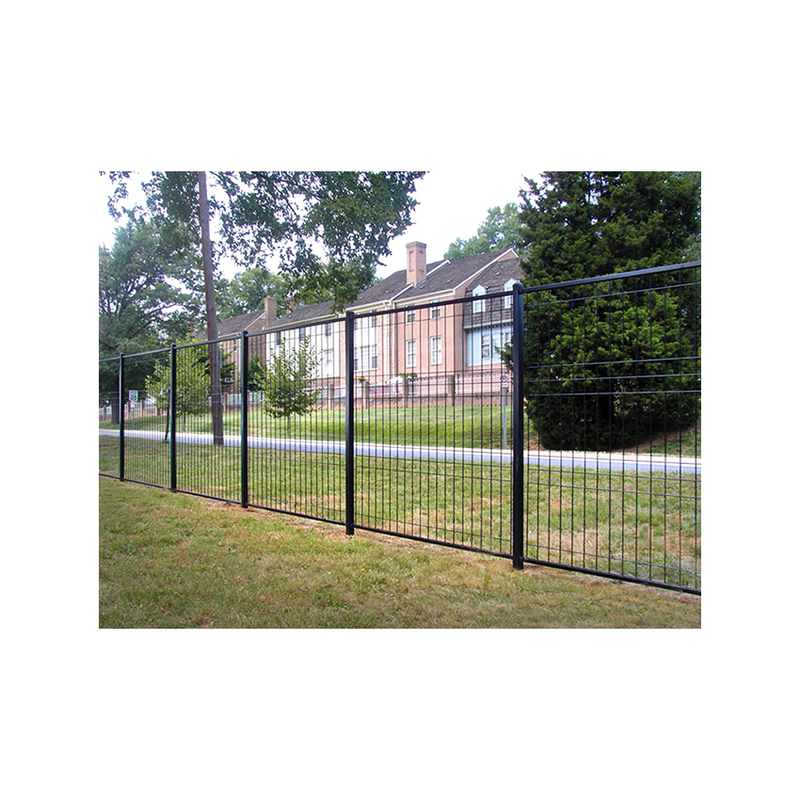 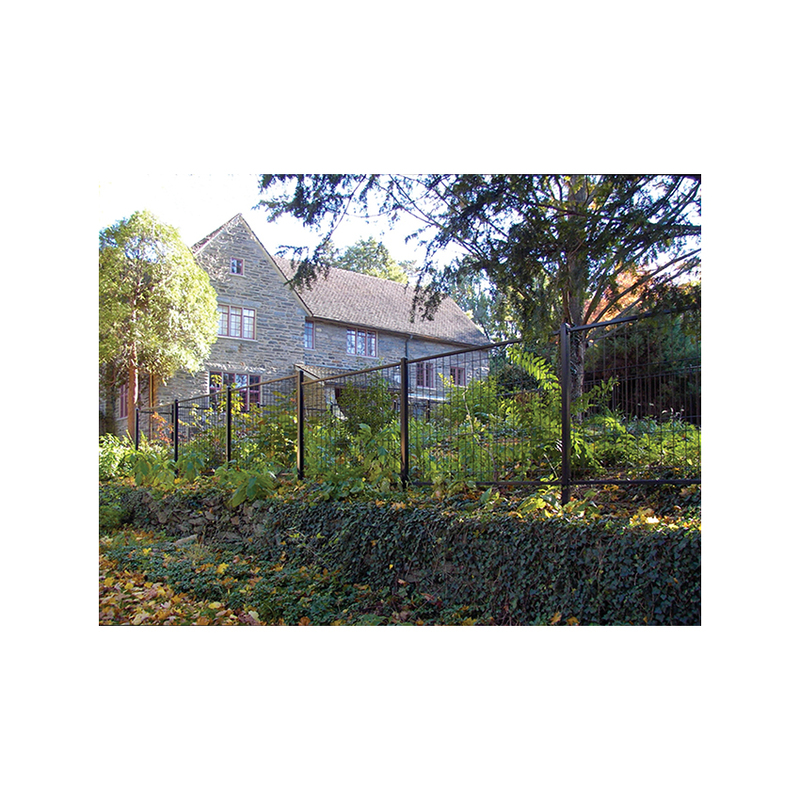 Heavy 6 wires - more durable than other security fences.